This morning I had a plan to open more bottles from my 1981 collection of Royal Wedding beers. Given the experience of those opened thus far, I was expecting to open, pour, sniff, sip and throw away the stale oxidised beers. However, I was to get a pleasant surprise courtesy of King & Barnes Brewery fermerly of Horsham in Sussex. As I opened the bottle there was the unsurprising plop of the cap and no discernible condition but upon pouring I knew this was going to be different from the other beers. The aroma of figs, molasses and sugar candy instantly filling my nose. The first taste was fantastic, a revelation, an epiphany. I was expecting cardboard, I got the the sweetness of an oloroso sherry. An overpowering sweetness maybe but not a stale flavour, a sweet flavour of a very weak oversugared coffee, the sweetest beer you will ever taste but with a lingering bitterness of a high cocoa chocolate. This is a special beer, the aroma continues to fill the room as I write this and I continue to sip the "extra strong ale"; I'm guessing about 10%. The freshness is disappearing quickly and I know this moment will not last. As I enjoy the beer, I reminisce about King and Barnes and know that I am the only person on the planet to be enjoying this beer today. An experiment in beer ageing that in one mouthful changes my honestly held belief that beer is for drinking not storing and an expectation or an ambitious hope that I will find something else as special as this in my box of old beer. The beer was presented in a 180ml, 6.34 fl oz brown bottle with crown cap and was described as Extra Strong Ale. No abv disclosed on the label. In 1981 King & Barnes owned 59 pubs in the south east. In 2000 the brewery and pubs were sold to Hall & Woodhouse and the brewery was redeveloped for housing. Hall & Woodhouse promised to preserve some of the King & Barnes brands and were seen as a preferable buyer to Shepherd Neame or Greene King who were both interested once the family had decided to sell. Crucially though, it was really the pubs that were seen to have most value and Hall & Woodhouse continue to own and operate many of the old King & Barnes pubs though there remains some sadness at a very local level that King & Barnes is no more. The closure of King & Barnes Brewery spawned three offspring in Horsham; WJ King run by Bill King (MD of K&B), Welton's and Hepworth's both set up by brewers at K&B. And so the brewing family continues to grow and expand at a micro level. As I failed to publicise the Brewery History Society's recent conference held in Burton, it is right that I make amends to give a shout out for something slightly nearer home. The latest edition of the Society's Journal is a special edition to celebrate the life and work of Michael Jackson. 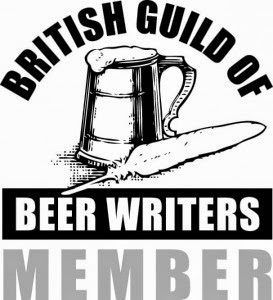 The editor, Tim Holt, invited leading beer writer, Pete Brown, to edit it and they gathered a well respected and experienced list of contributors. The result will be launched at the Rake in Borough Market at 6pm on Sunday 27th March. 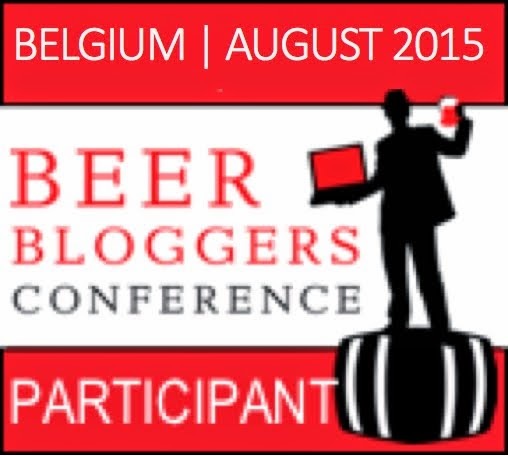 Hopefully there will be a good turnout to further mark the contribution that Michael Jackson made to beer writing. If you are in any doubt of his influence, the picture used to illustrate this piece shows the banner above the bookstore at the Great American Beer Festival in 2008, perhaps demonstrating that it is the USA where he was/is most recognised. For more details of the Journal see the BHS web site . Pete Brown has also provided more information on his blog here. The cover price is £4.50 but, naturally posted free to all members, included in the subscription of the Brewery History Society. The annual membership is £18 which continues to represent remarkable value given the continued quality of its Journal again demonstrated by this special edition. A glimpse of sun and a few hours more daylight and I feel inclined to re-join the beer blogging world. 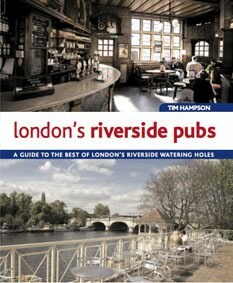 This was supposed to be a bog-standard review of the latest beer book to land on the doormat, London's Riverside Pubs by Tim Hampson but its arrival and subsequent thumb-through has stirred a rousing of passion from within and a desire to reflect on my life in London and my memories of riverside pubs. Reflecting on fifty years in London, it is fair to say that the River Thames has been ever-present without being particularly influential. I have spent time in plenty of riverside pubs without ever really realising their significance. I spent my early years in Mortlake. Indeed, my father's family ran a dairy on Mortlake High Street before I was even born and my grandfather's local in '40s and '50s was the Old George which was demolished in '60s making way for a wider road and the modern Charlie Butler (both Youngs pubs) both very close to the Mortlake (Watneys / Budweiser Brewery and the river bank. As a child I lived in East Sheen, a short walk from the river, and this is where I still call home today. I never went to university but everyone locally takes either the side of dark blue or light on Boat Race day - which happens to be this Saturday. A fight to the bar among the crowds in the Ship at Mortlake watching the finishing line is always a blast. Excellent London Pride here too. As a teenager, I got to know the riverside pubs pretty well from Kingston, where the Bishop Out of Residence was Young's brand new trendy pub in 1979, meeting friends in Teddington and Twickenham where the Barmy Arms was a favourite place for teenage misbehaviour and the Turks Head (Young's again), the scene of some river naked skinny dipping the evening when I finished my A levels at the local college. Happily I did eventually show some maturity which brings me to Richmond's pubs where I met and wooed my wife. Young's, White Cross and Watermans Arms being close to the river together with the Old Ship - more centrally townside, the upstairs crows' nest being a particular favourite spot. I started married life in Barnes, where estate agent poetic license described our flat as having "top-window" riverside views. Not really a total misrepresentation but you did have to stand on the loo to see the boat race crews whizz by in an instant. I remember celebrating my qualification as an accountant with a fine dinner in the restaurant attached to the Bulls Head, Barnes, the famous riverside jazz pub (Young's yet again) and spent many splendid afternoons in and out of pubs along this stretch. In my working life, I was never far from the river spending seven years in Southwark Bridge Road and a short walk to London Bridge where you now find the excellent Rake, Market Porter and Barrowboy & Banker. Then fifteen years in the Adelphi Building on the north bank at Embankment. My office was at the back of the building (as the beancounter, I was non fee earning staff !) though I could see the river if I stretched and gazed out of the side window and I did plenty of that. Not too many actual riverside pubs in this stretch of river but if you count The Strand and Fleet Street it was fair to say it was not all work and no play. Indeed the Strand now has a rather good pub crawl now if you include the Harp at one end, the two Nicholson's pubs, Coal Hole and Wellington, together with the historic Nell Gwynn and Sam Smith's Lyceum. If you have the stamina, Fleet Street provides the second half of a monster pub walk if you so choose. My CAMRA and beer blogging efforts always keeps me close to the Thames. I have enjoyed many visits to Fullers Griffin Brewery and generally walk there from home, about forty minutes if I don't stop at the White Hart or Bulls Head in Barnes always arriving in time for a sharpener in the Mawson's Arms alongside the brewery and a spit away from the river. Following the Fuller's agm in July each year, I always lead a walk along the riverbank to Hammersmith dropping in on the Black Lion, The Old Ship, The Dove (Fuller's) where we cram into the world's smallest public bar thinking it's funny and has never been done before, onto the Rutland Arms and the Blue Anchor just before Hammersmith Bridge. A fine refreshing walk before reaching the excellent transport links that Hammersmith has (but Chiswick does not really). So there you are, not really a book review but a stirring of memories of pubs along the river that I know so well. The book also gives me the will to visit pubs and parts of the river that I know less well such as the north bank at Chiswick, historic Greenwich and the Meantime, Old Brewery and some of the famous waterside inns of East London. If you really want to know, the book is a paperback, 208 pages, with full colour on every glossy page. It includes 100 of the capital's best waterside pubs and the maps are clear and easy to follow. You are even given a clue of what beers you might find in each pub. Cover price is £14.99 but as usual our on-line friends generally offer it cheaper. It is a perfect guide whether you know London or not, whether you live here or are a visitor, whether you are interested in the pubs, the river or just rambling along its bank. Most people who have ever dropped by on this blog will know that I love London, its pubs, its beers and its breweries. This book gives a flavour of why proud Londoner's love their City so much. Thanks to publishers, New Holland, who were kind enough to provide me with my copy of London's Riverside Pubs by Tim Hampson.